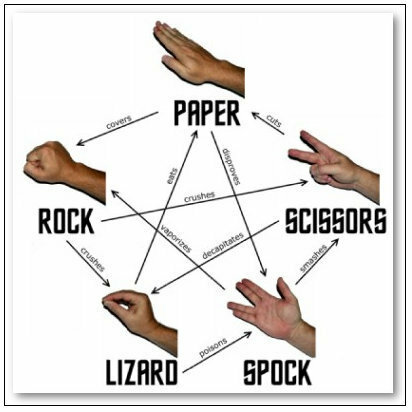 Rock, Paper, Scissors, Lizard, Spock. So we can understand this.. Wallpaper and background images in the 빅뱅이론 club tagged: the big bang theory rock paper scissors lizard spock 2x18. This 빅뱅이론 photo might contain 직각 삼각형 and 직각 삼각형 오른쪽 직각된 삼각형.